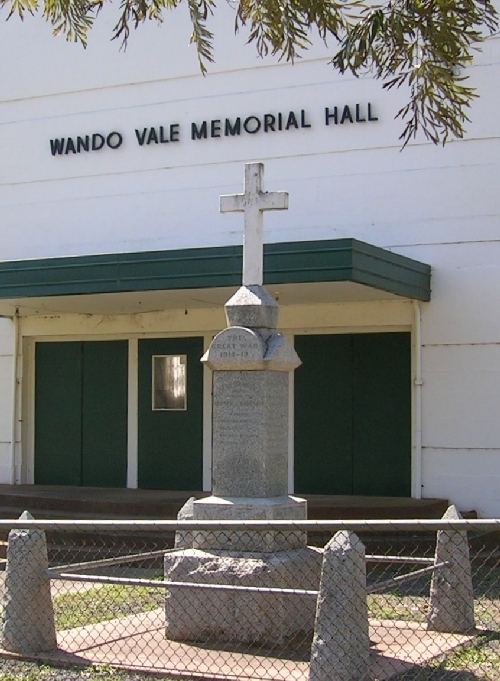 The following names are those listed from the Wando Vale District in south-west Victoria, Australia as having served in the Crimean War, World War 1, World War 2 or the Vietnam War. 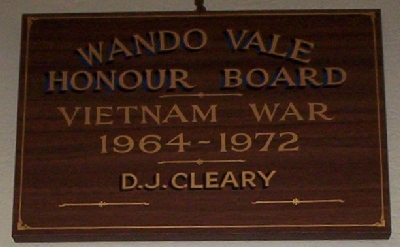 The additional information column is from attempts to identify the individuals named on the War Memorial, Honour Rolls or other publications from the district. UPTON G. George UPTON, b. 1832, Kent, England, son of Thomas UPTON and Ann CLARKE. George served with the British Navy in the Crimean War before emigrating to Australia in 1860. He worked on "Muntham Station" at Carapook before selecting land at Wando Bridge in 1870. George married Jane KANE in 1866, he died in 1925 and Jane in 1938 and they are both buried in the Sandford Cemetery.